SUPER FUN COSTUME TO WEAR! *Not sure what size you need, let me know your bra size and waist in inches. 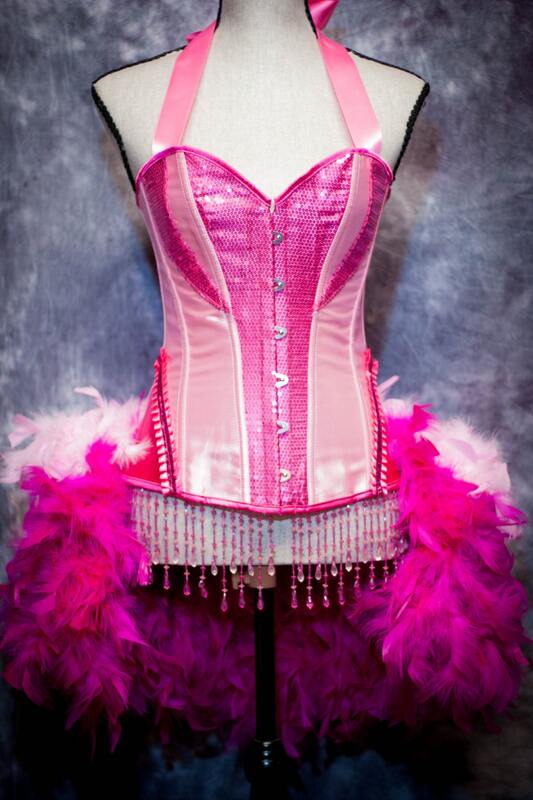 Two satin ribbons and hand-beaded rhinestone-style fringe top off this costume. 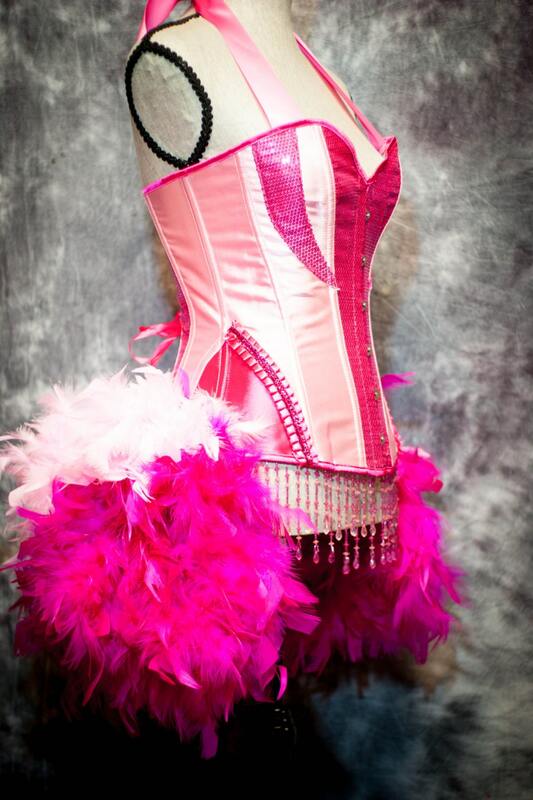 Corset is covered with hot pink sequins panels and gorgeous pink ribbon trim. Making it absolutely gorgeous and so much fun to wear!